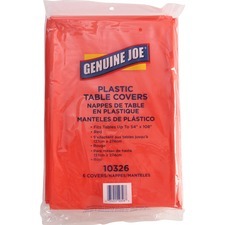 Table cover is made from a combination of tissue to help absorb liquid and poly to repel water, making it perfect for protecting your tables from spills. When the party is over, cleaning up is easier than ever because of its disposable construction. 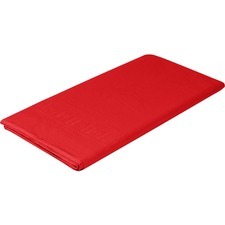 Table cover is perfect for luncheons, company events, parties and more. Plus, the ample length fits over most tables (sold separately) to give you great coverage. 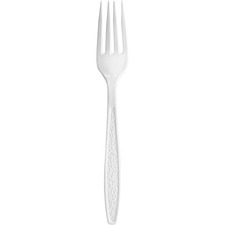 Solo Cup Extra Heavyweight Polystyrene Forks - 10 / Box - 1000/Carton - Fork - Breakroom - Disposable - Polystyrene - White Extra-heavyweight polystyrene forks let you handle dense foods like fish and steak. With a premier look and feel, these forks add an elegant finishing touch to hot and cold meals. 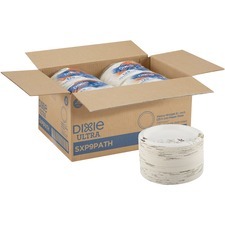 Disposable design provides an easy way to clean up after each use. 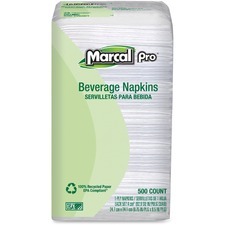 Marcal One-Ply Beverage Napkins - 1 Ply - Quarter-fold - 9.25" x 9.50" - White - Poly - Perforated - For Beverage - 4000 / Carton Beverage napkins come in a perforated, easy-reach poly sleeve to keep napkins tidy, dry and easy to dispense. Each napkin is single-ply and quarter-folded. 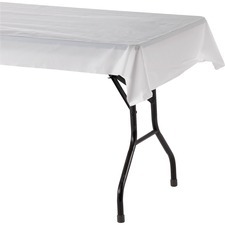 Roll of banquet-size table covers provides considerable savings over pre-cut table covers. Unwrap as much as you need and cut. The 0.02mm table cover is made of plastic. 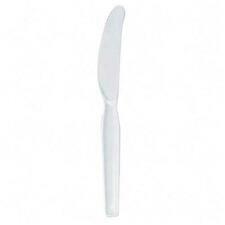 Heavyweight styrene cutlery is the next best thing to silverware. 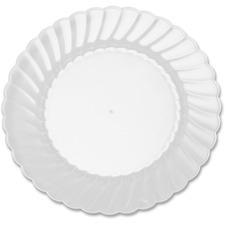 Three-compartment disposable plates are the perfect choice for both cold and hot foods. Plates are made from sugarcane fibers, a renewable resource, to provide an excellent alternative to plastic, Styrofoam and paper tableware. Sustainable plates are soak-proof, grease-resistant, sturdy and free of plastic or wax lining. 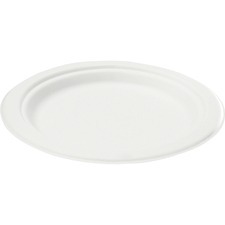 Microwave-safe, freezer-safe plates are durable enough to hold wet or dry foods.